It was announced he was going to be in the show, and he said that he'd finished his filming in a few days in Belfast, but we didn't know who he was cast as until now. The answer's below the cut for those who don't want to be spoiled. Winteriscoming.net broke the news today that Mark will be playing Tycho Nestoris, a representative of the Iron Bank of Braavos. 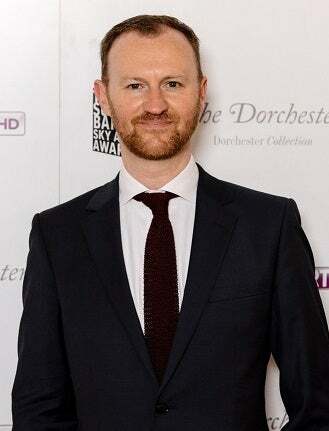 His description as 'a tall, gaunt stick of a man with long legs and a beard as thin as a rope from his chin and almost reaching his waist' sounds like Gatiss. I can't wait to see what that beard looks like on him. The character first appears in A Dance with Dragons, the fifth book, so he's being introduced earlier as the show's third and fourth seasons are (roughly) adapting A Storm of Swords, book three in the series. There was another Bravosi banker with a small role in ASOS, though, so it seems likely the two are being merged.